Sportif Travel are delighted to welcome Simon Winkley to the team and to introduce a new collaboration of windsurfing clinics and pro coaching for 2019. Designed for intermediate to early advanced windsurfers, Simon will be coaching groups in the Canaries, Alacati, Turkey and Langebaan in South Africa. Simon brings over 20 years professional experience and is a team Rider for Starboard and Severne, a qualified RYA Instructor Trainer, a RYA Wind Foiling Instructor, a technique writer for Windsurfing UK Magazine and a contributor to Stand Up Paddle Mag UK Magazine. The 2019 Simon Winkley Pro Coaching windsurfing clinic to Lanzarote in the Canary Islands is for Intermediate to early-advanced windsurfers. Covering everything from beach and water starts, tacks, gybes and more advance skills with choice of flat water, slalom to small waves outside the bay. 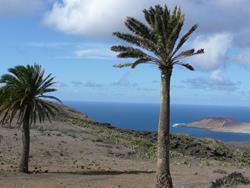 Based in lively Costa Teguise, with group dinners. Non clinic friends and partners welcome. FULL - see available clinics below. 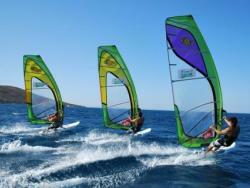 Improvers - Intermediates Windsurfing Coaching Clinic. Easy, safe, flat water, Freeride paradise for improvers and intermediates+. Previous PWA World cup location with group meals and lovely atmosphere in old Alacati town. Excellent value with full service windsurf centre with restaurant and bar, chill out areas. Great for non windsurfing partners and friends too. 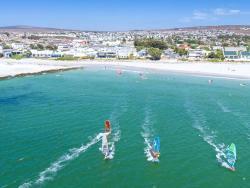 The 2019 Simon Winkley Pro Coaching windsurfing and Intro to Wind Foil clinic to Langebaan, South Africa is for Intermediate to early-advanced and advanced windsurfers. Join Simon for this accompanied trip, with windsurf coaching on the stunning, protected lagoon with warm waters and consistent winds – perfect for flat water blasting and improving your all round technique. Non clinic friends and partners welcome. Dates 25 Nov - 03 Dec 2019.